The SeaLink® 12 volt family of products are manufactured from corrosion resistant marine grade materials. Exclusive to SeaLink® products is a unique interconnecting system that securely locks the plug into the receptacle resulting in a positive and moisture-proof connection. 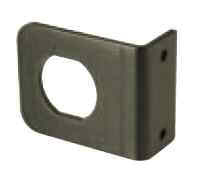 The plug and receptacle feature optimized metal connection points for maximum conductivity.